If I had to give this book an alternate title it would be this: the magic of enthusiasm. As such I decided to dedicate all of my notes to the power of enthusiasm. Cos yes – it’s that important! 🙂 On the actual book – I found it a sweet read and very motivating (quite self-helpy if you like that sort of thing). Frank’s background is sales and baseball and his stories revolve around being an absolute failure in both until he turned his life around with enthusiasm. And yes that sounds v. corny, but hey if it works! p.s. 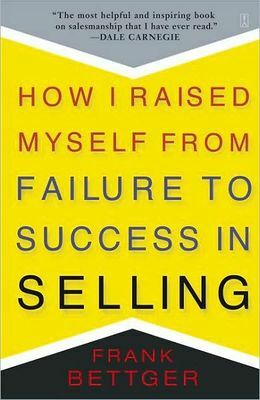 the book has much more in it than just enthusiasm rants, it covers sales, selling – the art of questions and more. Have a read of it here.